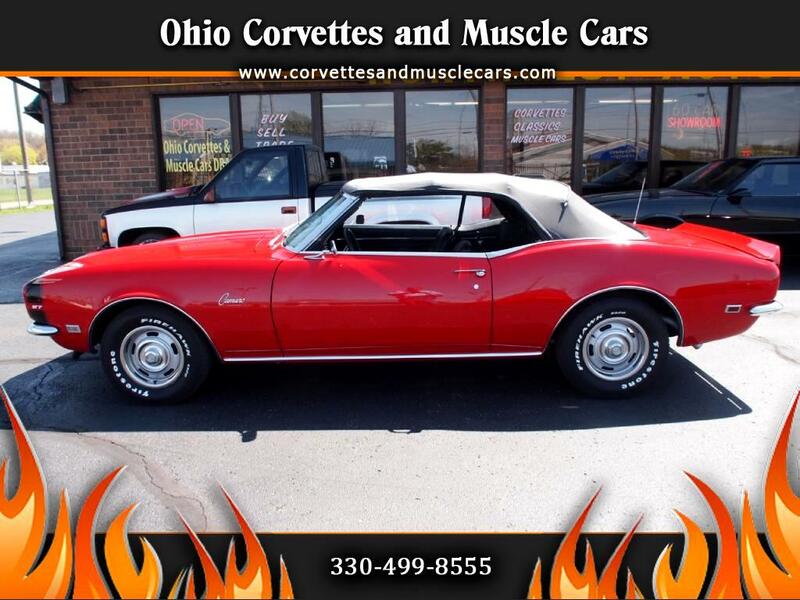 Another result of Bob's southern buying trip is this very clean 1968 Camaro convertible. It is a numbers matching 327/210 V-8, mated to the original M-20 4 speed transmission. It is equipped with power steering and brakes, which makes it a pleasure to drive in today's traffic. Inside, there is a floor mounted console with the special instrumentation package with the factory tach and clock (which works) located next to the speedometer. The car was bought new in Connecticut where it lived until moving to North Carolina in the early 90s. We have Protect-O-Plate, original owner's manual, original title and various registration documents. This is a real nice, clean little car that is a lot of fun to drive. Give us a call.